For those of you that remember, a few weeks back I posted up some scans of an Edge arcade article from way back in 1998. 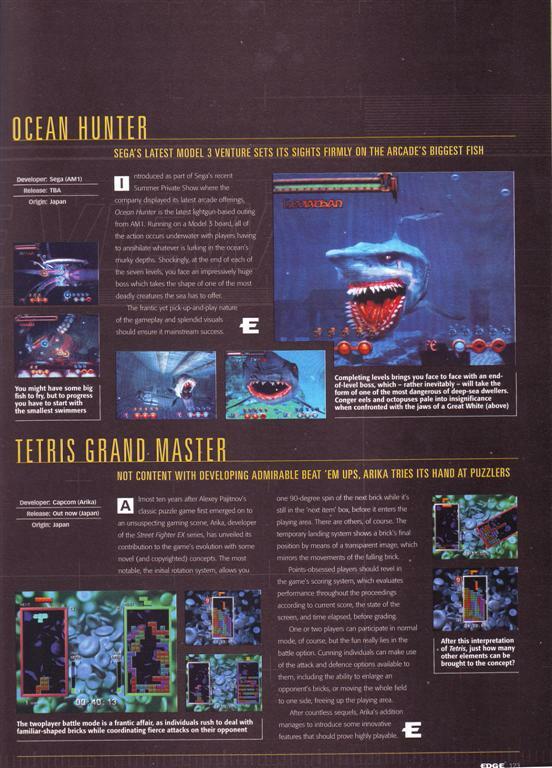 Also something I notice was that way back then Edge used to do arcade reviews (how times have changed). So as promised here is the first, of many, of thier arcade reviews. 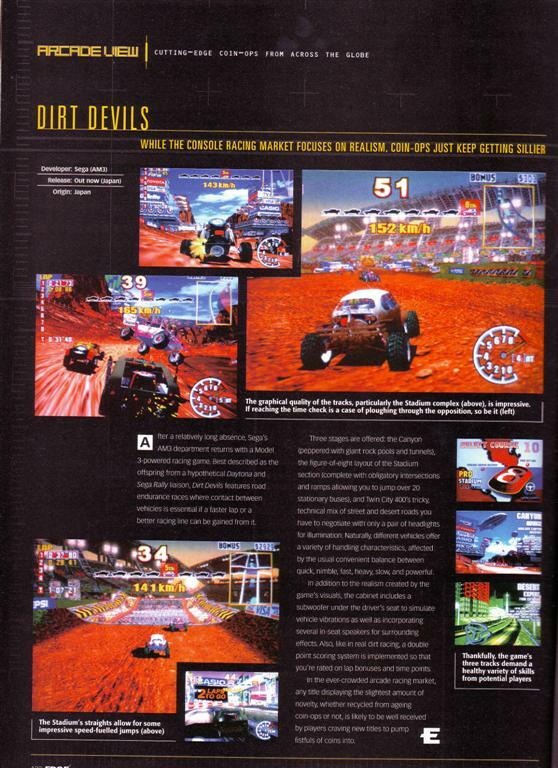 First up are reviews of Dirt Devils, Tetris & Ocean Hunter. 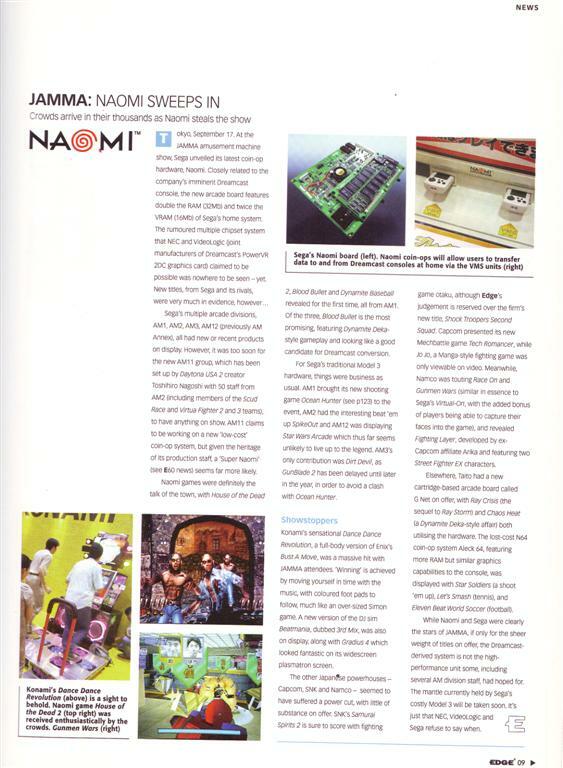 Also in this issue was a round up of JAMMA ’98. Enjoy. Apologies for the quality but I couldn’t post up the 15MB plus scans as they would take a month of Sunday’s to load. Don’t forget to check out Edge’s website, let me know if there’s any arcade news on there.